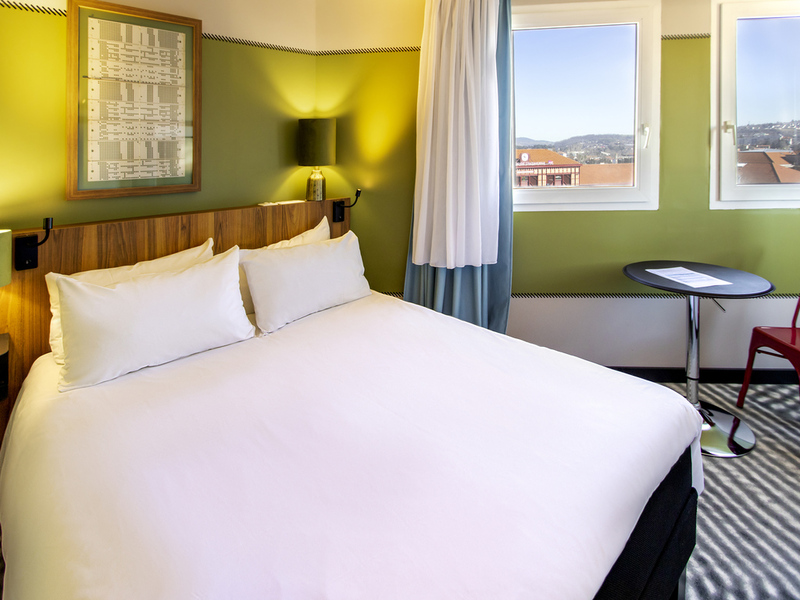 The ibis St Etienne Gare TGV hotel is in the downtown area, facing the railway station. Its ideal location enables you to take full advantage of the economic (Convention Centre), cultural (Mining Museum) and tourist (Pilat Nature Park) facilities of Saint Etienne and its region. The hotel offers for booking 88 rooms with Wifi connection including 3 adapted for disabled guests. A restaurant (Taverne de Maître Kanter), a bar, snacks 24/24 and covered parking are at your disposal. Relax on one of France's most high-tech golf courses or visit the mining museum and go down the pit just like a miner. All the charm of an old-time alsatian tavern. The conviviality of Alsace, with a menu worthy of the great brasseries of old.